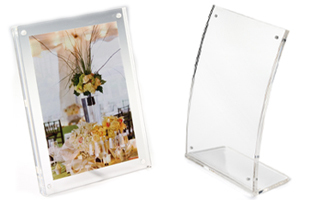 Acrylic Sign Holders for Sale in a Wide Range of Sizes! 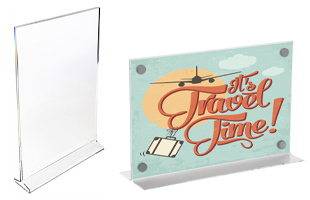 Acrylic Sign Holders Available with Fast Shipping Options from the Country's Largest Online Supplier! These sign holders are vital marketing tools for companies that want to promote new or existing products, services, or special events. They represent the best signage options on the market today. 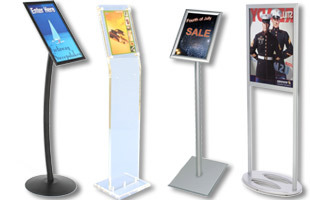 What makes these sign holder fixtures featured in this online catalog the best? The durable construction and diversity of styles and sizes of these sign frames makes them the best on the market today. 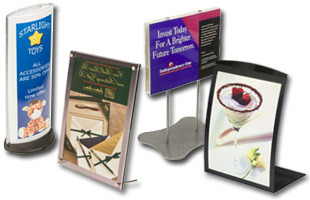 These sign holders available in many sizes add instant value to any marketing, advertising, or promotional campaign. 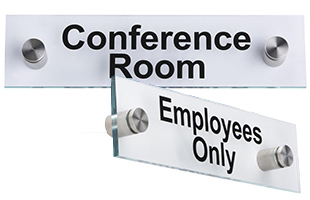 Businesses and corporations around the globe use acrylic, metal, and wood sign. 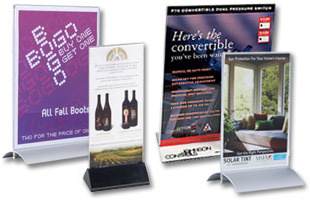 These sign holders, also known as promotional signs and advertising tools, may be used practically everywhere! Browse through this large selection of display holder products here. Our company sells these sign holders available at low prices, making us the nation's #1 online site to buy both indoor and outdoor signage. We are a leader in this industry and feature a large range of sizes and styles of signs to select from. 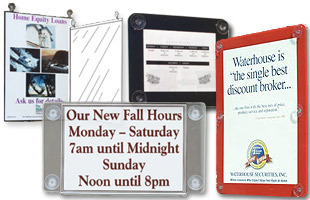 These sign holders can be wall mounted, hung in a window, placed on a counter, or used as floor standing sign displays. 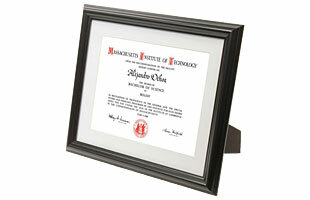 Thousands of signage frames are in stock, available for same day shipping! Where is this sign holder typically used? This print frame is used in various locations including restaurants, hotels, retail stores, and even homes, to display favorite pictures or photos! Signage is used in restaurants to display meal specials, dessert menus, wine lists, and much more! Retailers use signage to advertise new merchandise, weekly specials, or to highlight a sales event. 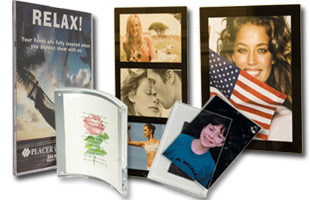 Sign stands are also used to hold pictures, photos, directions, contact information, and more. Which sign holder is best for your application? Advertising signs are made from various materials such as aluminum and plastic. 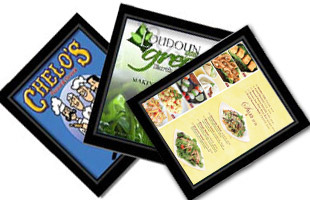 Metal frames are typically used in fast food restaurants, retail stores, and homes. In stock items include metal signage holders that are both floor standing and wall mount. These metal signs are sold with snap sides, swinging door fronts, and the more traditional rear access styles. They are often called wall signs, message cases, real estate signs, and sidewalk signs. Clear acrylic fixtures are ideal for enhancing current signage. The transparent acrylic signage holders make sure the different notices, advertisements or other general messages can be seen easily. An acrylic sign may be a flat, curved, or angled sign. Customers can choose a top loading model for installing graphics through the opening at the top and bottom loading for inserting ads through the base. Lighted displays brighten up signage that would normally go unnoticed. 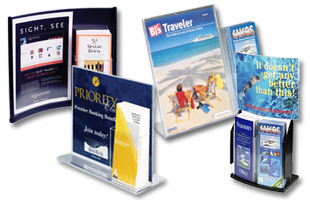 Other styles include additional compartments for accommodating brochures or business cards. The angled signs tilt the information into the sightline of the customer from the tabletop or counter for impressive POP displays. 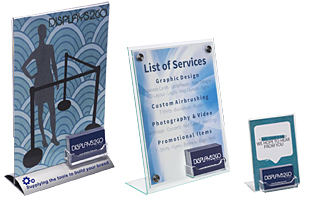 While most straight or angled sign displays sit on a table or counter, stand on the floor, or mount on the wall, some are suction cup displays that mount to glass. Are you shopping on a limited budget? 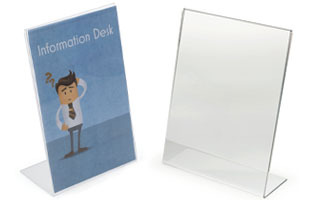 The plastic marketing solution is a wonderful option that is less expensive than the acrylic models. Also known as a picture frame, this inexpensive signage is very durable, fully functional, and often used by businesses that market in the food service and retail industries. The plastic signage solutions are available in many sizes and styles to present the content in an attractive fashion. There are floor standing, countertop and wall mounting choices available. Our advertising signs include menu displays and table tents that allow restaurants to display drink or menu specials. 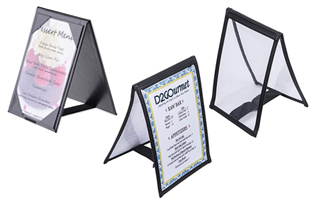 Menu holders are often made of a form of plastic, which helps to keep the cost down, and tends to last a long time in a busy restaurant setting. 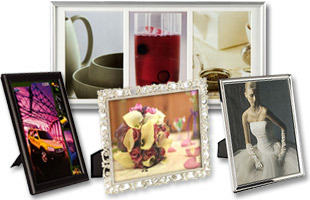 In addition to these acrylic displays, wood picture frames are also a popular option offered in this online catalog. 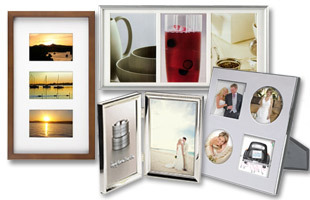 The wood photo frames sold here are simple yet elegant, and will certainly add a touch of class to any home or office. Browse through the themed picture holders which add some style to a child’s bedroom, an office space, a party or other setting. Ornate and decorative frames are suitable for upscale settings while the traditional frames are perfect for any location! 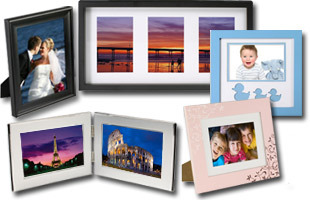 Photo frames for multiple pictures are also available. 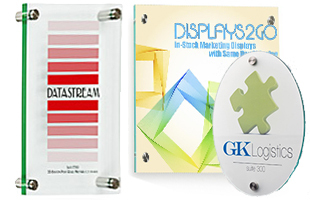 These displays save space on the table or wall. As an alternative to the traditional plastic table tent or menu holder, we sell a wooden model that has a very traditional look and adds class to a business environment. The wood frames are sold with a variety of finishes to blend in with the atmosphere. Metal, wood, and plastic picture frame solutions can be used in retail shops or offices with great success for a long time. Browse through this online catalog now to see all of the sizes and styles of display holders, collage photo frames for sale and other picture frames used in retail available. In an effort to make shopping with us a breeze, we have separated products into categories. Want units that combine high quality with affordability? 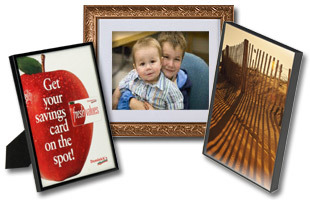 Browse through the entire collection of economical but sturdy sign frames right now! While you're at it, go to our best sellers page to see what others find useful. 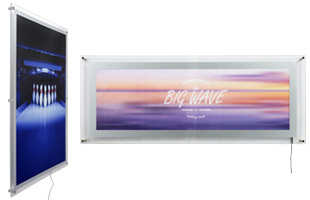 If you're looking for a new or larger sign display, be sure to check out the frames for posters and the print display stand selection. 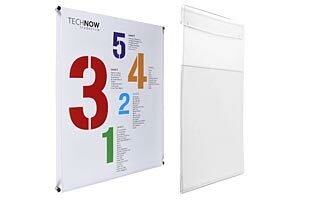 These poster frames, also called sign holders are sold in large and small sizes making them ideal for hanging posters in a retail environment, office, movie theater, and community center. We also include outdoor advertising signs such as a-frame signage, also known as sandwich boards and sidewalk signs, real estate frames, floor standing informational signs, and much, much more! 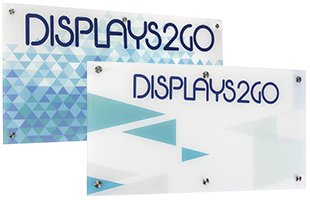 Displays2go has been manufacturing and selling acrylic displays as well as thousands of other POS fixtures for more than 39 years. There are engineers and purchasing agents working hard to ensure these product lines include the best selection of the newest marketing displays offered in the marketplace. Order with confidence from this trusted online supplier. As the manufacturer and distributor, we are able to ship 98% of orders within 24 hours. Requests for in-stock products received before 3PM EST (Monday - Friday) ship fast - even the same day. (Same day shipping applies to most in-stock merchandise. We cannot guarantee same day shipping on orders that require customization or ship freight.) Buy in bulk for greater savings! In addition, we also offer a free print catalog. For more information please contact us at 1-800-572-2194, or via live chat by clicking on the icon. Customer service specialists are available from 9 a.m. - 5 p.m. EST, weekdays. Offering in depth product knowledge and world-class customer service is what keeps shoppers coming back. This company strives to offer a diverse inventory of items along with the highest level of quality products and world-class customer service. Why search through hundreds of online retailers for signage solutions when you can order it right here at discount pricing from the industry leader? 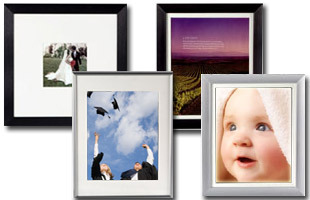 It takes no time to see all of the framing options available here. 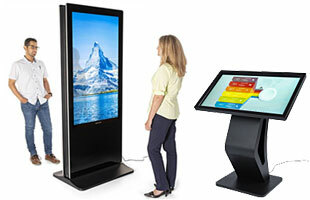 The right display for your business is available here! 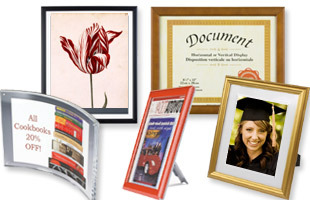 Buy print frames today and receive the best value for your dollar! There are thousands of quality products for sale in this online catalog! View the entire selection now!